Nationally recognized as a top-tier amateur radio contest club. Devoted to the pursuit of operating and technical excellence in amateur radio contesting. Experience the fun, satisfaction, and competitive thrill of radio contesting. Opportunity to develop or improve your operating and technical skills to become better contesters. Email Reflector -- Access to over 300 members. Our membership consists not only of world-class operators, but also some of the most knowledgeable amateur radio practitioners in the country. Frequent meetings throughout the greater SF Bay Area, often with top-notch guest speakers. The NCCC website -- Contains some great operating resources. Free logging software. Tutorials and presentations on RFI & noise elimination, SO2R operation, RTTY Contesting, antenna design, understanding propagation, preparing your own QSL cards, a Sweepstakes handbook, radio-computer interfaces, sleep strategy for big contests, etc. Opportunity to win both Club and Individual amateur radio contest awards. CQP -- The California QSO Party, sponsored by NCCC, is recognized nationally and internationally, as one of the finest US State QSO Parties of the year. NS (NCCC Sprint) – high energy CW event every Thursday evening. We're Cool! NCCC is one of the finest amateur radio contesting (and friendship) organizations in the world. 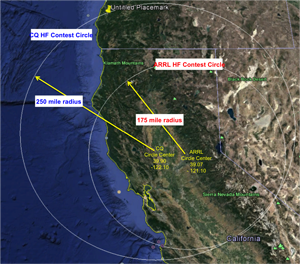 Anything within our Contest Circles centered aboutt 10 miles North of Auburn, CA on Highway 49. 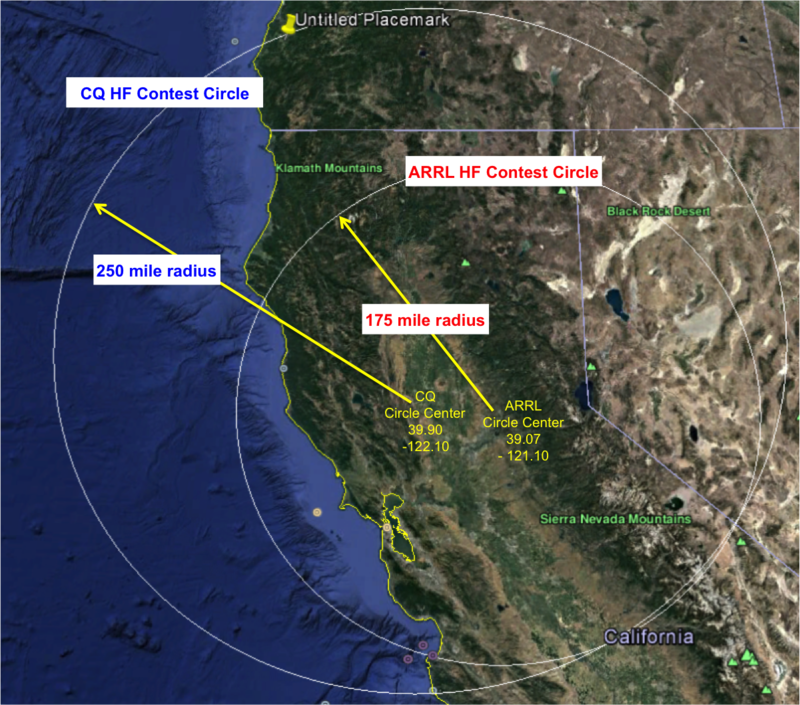 To determine whether you are in these Contest Ciircles take the center latitude/longitude of each circle, plus your ownLat/Long settings and go to one of the following sites to calculate the distance your station is from the club center. Our membership services are now being hosted by MemberPlanet rather than on a spreadsheet. We have decided to go this route in order to solve the many problems we have had in the past with maintaining membership records, renewals and reporting on active members for contest reporting. Moving all of our membership services to a third party's website now enables our website to be fully managed by the members, hopefully increasing our visibility. It has also made the roster easier to maintain. To join NCCC as a New Member, please click the button below. Renewal notifications will be sent out each June. However if you wish to renew/change your membership information, use the Sign-In button below to access your account page.